alaTest has collected and analyzed 1548 reviews of Asus Memo Pad 10 / Asus ME102A / Asus Memo Pad 10 ME103K. The average rating for this product is 4.2/5, compared to an average rating of 4.5/5 for other products in the same category for all reviews. Comments about the screen and price are on the whole positive. The size and usability are also mentioned favorably. We analyzed user and expert ratings, product age and more factors. Compared to other products in the same category the Asus Memo Pad 10 / Asus ME102A / Asus Memo Pad 10 ME103K is awarded an overall alaScore™ of 89/100 = Very good quality. Large apps and games take a long time to load. Also, the power button sometimes takes its time to respond. Swipes to unlock the screen often go unrecognized. 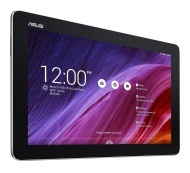 The Asus Memo Pad FHD 10 is a well-priced large tablet that doesn't compromise on useful extras. easy set up ,seems to work OK,only had it a week, sometimes its slow to download,than again it could br me ?